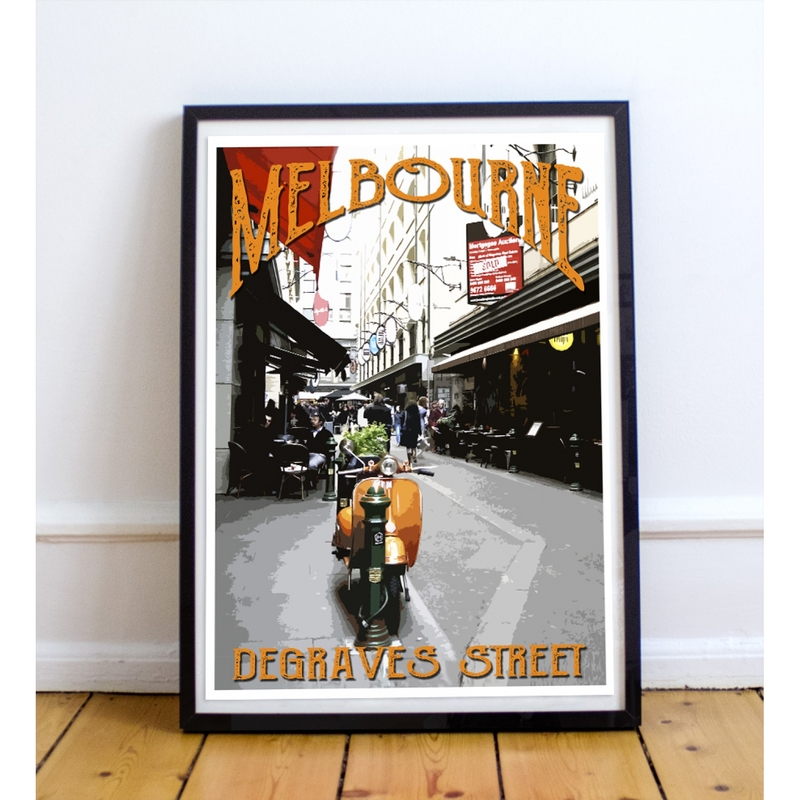 Degraves Street in Melbourne, Victoria was named after Charles and William Degraves, pioneer merchants who settled in Melbourne from Hobart, Tasmania in 1849. William Degraves (1821–1883) was a flour miller and a prominent grazier. 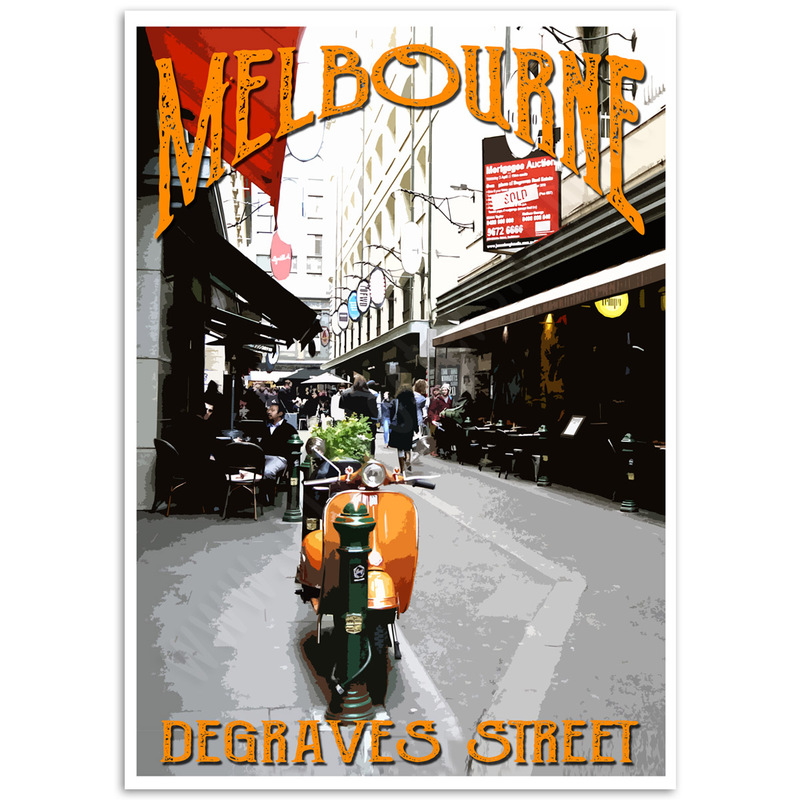 Today Degraves Street is a vibrant place to stop for a coffee, have lunch or unwind in a bar. 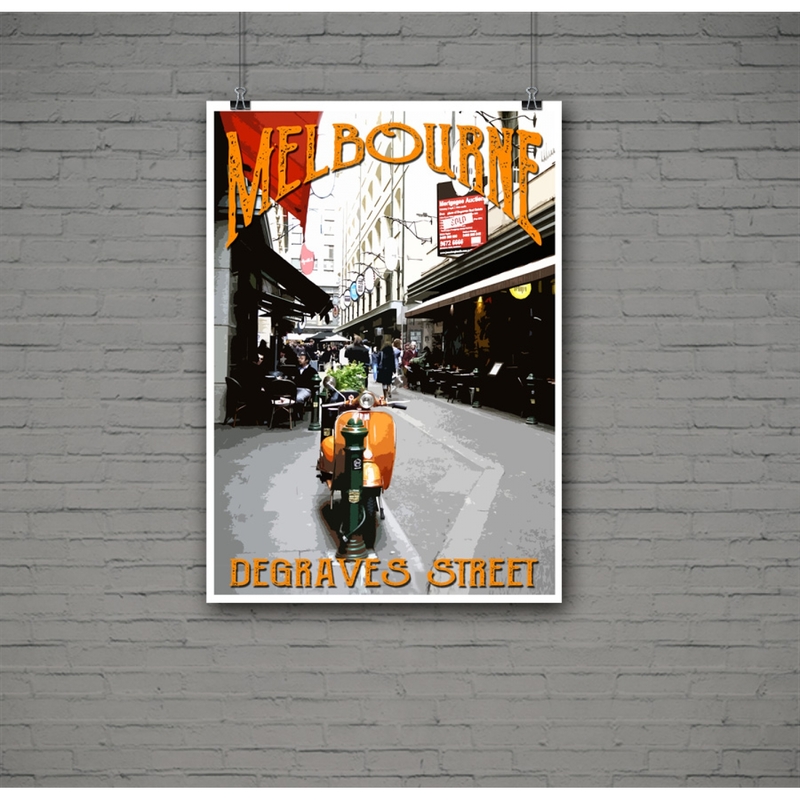 Degraves street is home to many legendary pieces of Street Art and a popular place for buskers and street performers. 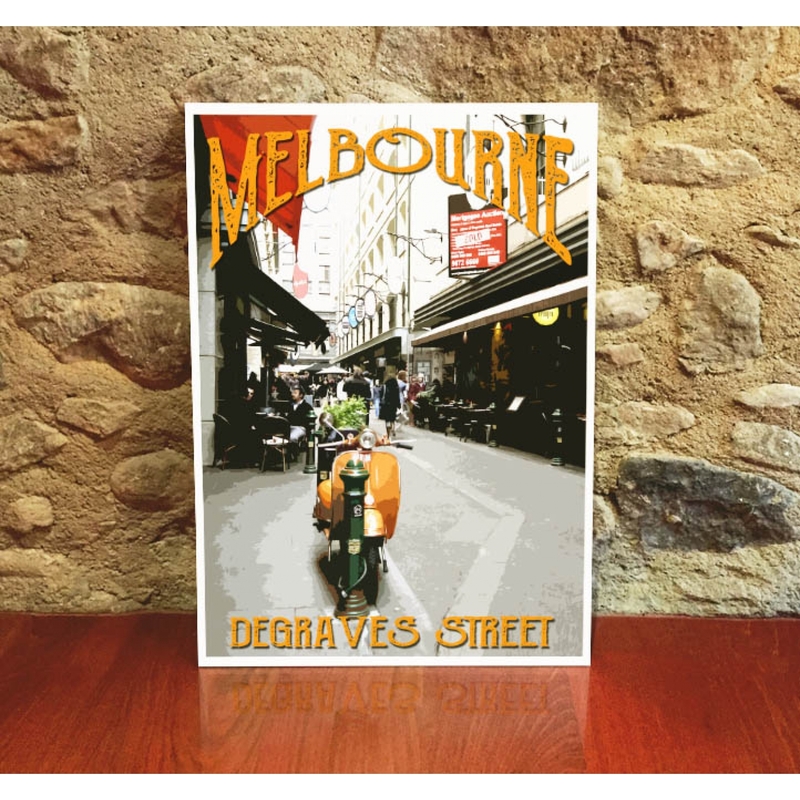 The 'Degraves Street' Poster print is a reproduction of an original photograph. Old Green Tram Poster – Melbourne, Australia Discover the perfect poster for your home at Just Poste..
Princes Bridge Poster – Melbourne, Australia Discover the perfect Melbourne Poster for your home, bu..
Royal Exhibition Building Fountain at Night - Melbourne PosterRoyal Exhibition Building Fountain at ..
Pellegrini’s Espresso Bar – Melbourne, Australia Best Espresso in Melbourne!Pellegrini’s Espresso B..
Melbourne from the Shrine Poster – Melbourne, Australia View of Melbourne from Shrine of Remembrance..
General Post Office Poster – Melbourne, Australia The GPO is on the corner of Elizabeth and Bourke S..
Degraves Paint Splash Girl – Melbourne, Australia Melbourne’s Street Art is legendary! Today Deg..